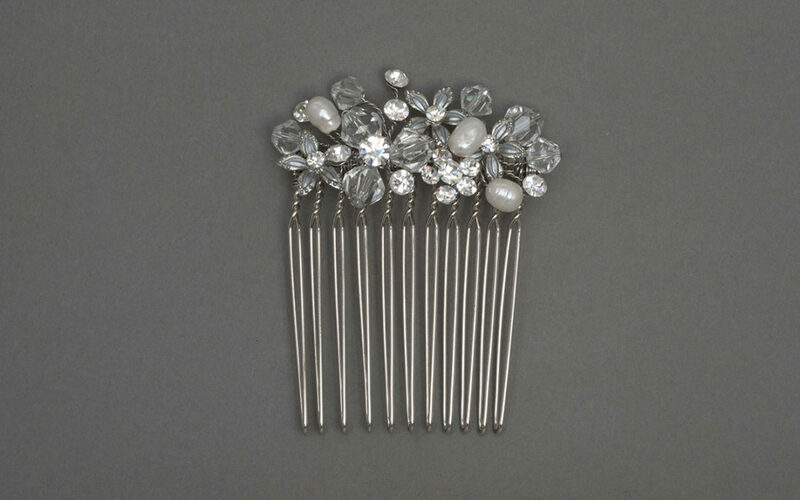 These mini combs are available in Gold & Silver (as pictured). They are the simple solution to the bridesmaid or bride that wishes not to wear a 'statement' piece, but just an accent. The combs can be scattered about the hair (set of three is ample enough), and offers just enough sparkle for both an upsweep or cascading hairstyle.